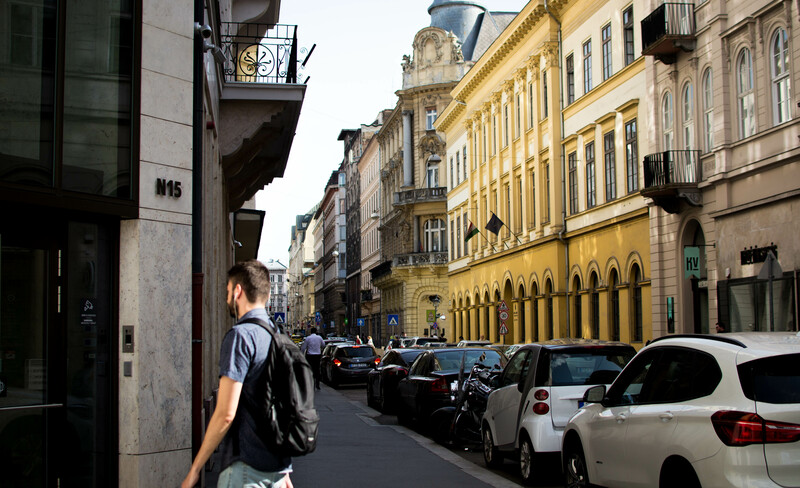 Central European University, which is chartered in the U.S., may be forced to leave the country, raising questions about the limits of academic freedom and the role of global education. Nestled within the stone-paved streets of a post-Communist city stand the modern, glassy walls of a fundamentally democratic institution. Central European University (CEU), a private institution founded by left-leaning Hungarian-American philanthropist George Soros, was established in Budapest, Hungary in 1991, with the promise of providing a high-quality, open liberal arts education. But on Jan. 1, 2019, CEU's fate in the country could take a turn. In April 2017, the Hungarian government amended federal higher education laws so foreign institutions would be required to also offer programs in their home country. So far, CEU has met every legal requirement, holding classes out of Bard College in New York and maintaining a charter from the Board of Regents of the University of the State of New York, with dual accreditation from the state's Education Department and the nation of Hungary. All it needs to stay in Budapest — and not proceed with alternative plans to relocate to Vienna — is a signature from Hungarian Prime Minister Viktor Orbán. This has yet to occur, though legislation requires it by the start of next year for CEU to accept any new students in Hungary. CEU President Michael Ignatieff contends the institution's legal uncertainty is intentional. "We're approaching a critical juncture here, where it's conceivable a NATO ally will throw an American institution that's been in Budapest for 25 years out of the country," he said, adding that CEU's predicament is a result of Orbán's targeting of Soros, who has spent his massive fortune on efforts to transition Hungary, among other nations, toward democratic paths. "Now, the country is sliding backwards. Soros and CEU have become the target of choice, as Orbán and his supporters consolidate their own political base," he said. "We're caught in the crossfire of that." Central European University has so far complied with new legislation governing international universities. U.S. higher education has expanded and globalized to an unprecedented degree in the last 40 to 50 years throughout Europe, Asia and the Middle East. CEU's story is unique, but similar circumstances of political instability or social pressure could be felt by any U.S. college holding an international branch campus. This reality — particularly as many European countries move toward right-leaning governments that have challenged notions of academic freedom — begs a critical question about American institutions going abroad, Ignatieff said. "Can we maintain the academic freedom we take for granted in the U.S. in these foreign locations?" The number of U.S. institutions with charter campuses abroad is increasing. The Cross-Border Education Research Team (C-BERT) at the University at Albany, SUNY, which tracks the global footprint of U.S. higher education, counted around 51 U.S. universities operating or developing 77 branch campuses outside the country as of December 2017, up from about 59 branches in 2005, according to Jason Lane, C-BERT director. CEU's story highlights concerns around how effectively these institutions will be able to achieve their goal of spreading American higher ed ideals abroad without compromise. For instance, the Hungarian government has introduced legislation to potentially ban or defund all gender studies programs in the nation. Compliance with such rules would be counter to CEU's mission of promoting an "open society." Yet in August, CEU said it was "forced to announce the immediate suspension" of education programs for registered refugees and asylum seekers as a result of legislation passed by the Hungarian government. Central European University may be forced to leave Hungary if it does not get the support of the country's prime minister. According to Lane, one of the more significant challenges of operating an international branch campus is a potential lack of consensus around what constitutes academic freedom between the home country and the host. "There's often on the surface an agreement that academic freedom should exist on a campus, but when it comes down to operationalizing that, the host country doesn't always share the same definition," he said. And while there may be an agreement that the institution can offer any programs it chooses, "we find that institutions often informally make decisions about what to offer based upon what may or may not be permitted in that environment," he said. For example, faculty may feel the need to informally self-censor around domestic issues, or students may feel like they can't engage in critical discussions outside the closed doors of a classroom. Partnering with the local government can afford stability, he said, but even that situation can be volatile. Jeffrey Lehman, vice chancellor of New York University's Shanghai campus, said the reality is that the affordances of an American institution are not available around the world. Though that doesn't necessarily mean institutional values have to be compromised. "It was agreed upon with the government from the beginning that in order for students to get a degree from NYU here, academic freedom had to be respected. So far we've had robust academic discussions about all matters on campus," Lehman said. That's partly because the Chinese government actively wanted to create a partnership to transform domestic education. In 2012, China's Ministry of Education welcomed a joint partnership between NYU and East China Normal University to bring American education and degrees to the country. "Of course, everything could change tomorrow. If the government changed its mind, we'd leave," Lehman said. 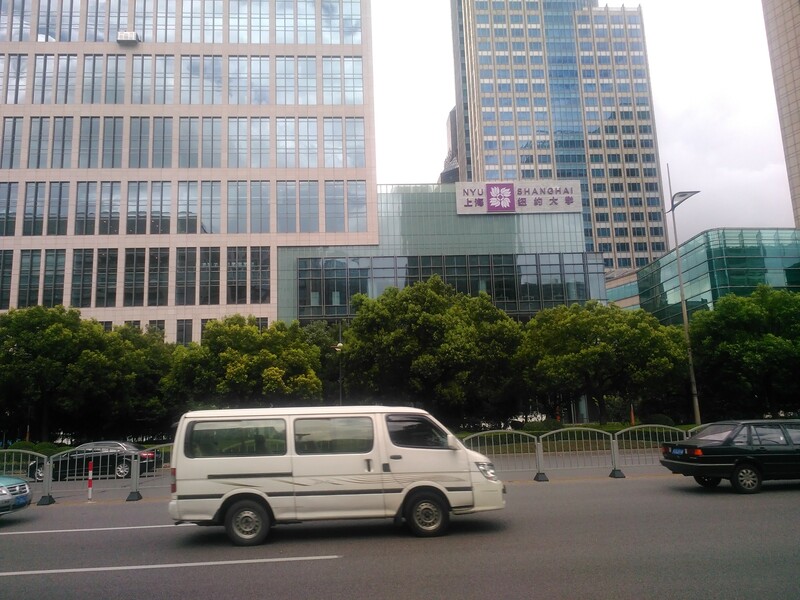 New York University's Shanghai campus. At Georgetown University's Qatar campus, there is a sense of academic freedom among students and faculty members, but some might feel the need for self-censorship on the country's internal domestic issues, said Ian Almond, a professor of world literature on the campus. "We have faculty like myself that are pronounced on Palestine. I don't think I've ever felt the slightest pressure in that respect," he said. "But when it comes to talking [about] things like service workers, … that's where it can get sticky." Georgetown is one of six U.S. institutions invited by the Qatari government to Doha in order to transfer elite education specialties to the region's population, so citizens throughout the Persian Gulf wouldn't have to go abroad to get a coveted U.S. degree. Like NYU did with the government of China, these institutions entered into a contract with the Qatar Foundation, a national development group funded by the Qatari royal family. The agreement stipulates that the schools would not be required to compromise on what they teach, or how, said Ahmad Dallal, the dean of Georgetown's Qatar campus. "We're operating with the same academic structure we have on the main campus. There is no interference and we are given the freedom to do this," he said. In addition to setting curriculum, institutional values also can come into question when operating a branch campus. Georgetown has had to address labor rights issues for migrant workers in Qatar — raising the issue of how a foreign institution can operate in a host country that doesn't reflect its own standards or values. Georgetown was proactive about the issue before building the campus, Dallal said, such as requiring an agreement that Qatar would comply with certain working conditions for laborers and creating a mechanism for workers to file grievances. There's always a risk the mission won't translate over. That was the case for Kristina Bogos, who was a graduate student at Georgetown when she decided to attend the Qatar campus. Her research focused on migrant worker rights in the Middle East. "When I arrived in June 2016, I was denied entry at Doha, detained and told I was on a blacklist for security reasons that I believe are tied to some of the research I did in the United Arab Emirates on migrant workers," said Bogos, who was eventually let into the country with a 30-day tourist visa. However, she said she often felt uncomfortable while on campus. Georgetown University was one of several U.S. colleges invited to establish a campus in Qatar. "I started to do my research and at times I was under physical and electronic surveillance," she said. "They followed me onto campus multiple times and monitored me through my SIM card. 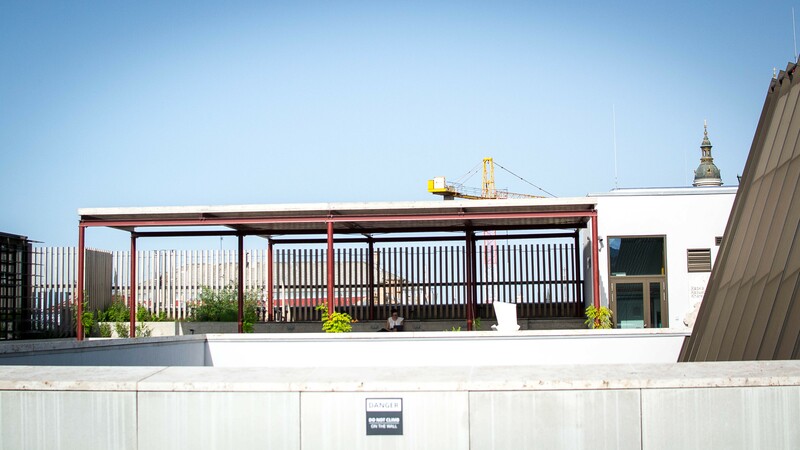 On Aug. 3, 2016, my visa had been rejected and I had no choice but to return [to the U.S.]"
Bogos wasn't able to complete a summer session in Qatar and says the situation made her question a universal understanding of academic freedom across campuses. "You will find people who have differing opinions on whether academic freedom means freedom of movement and research, or only speech — and speech that's limited to the safety of a classroom," she said. "If you are going to open up a campus abroad, freedom of movement is integral." Freedom of movement is intrinsic to the type of academic freedom Ignatieff says CEU is trying to provide for students in Hungary. In an op-ed for The New York Times in April 2017, he wrote that the country's higher education laws would give the government the "power to deny work permits to faculty members from outside the European Union and use the visa system to restrict the university's ability to choose its students." CEU was established with the goal of inviting students from Hungary and around the world to receive the type of scholarship that could improve Hungarian society and its economy. "There's no question in my mind that we want to stay in Budapest. But it doesn't depend on us," Ignatieff said. "The challenge of being a leader today is stating your mission clearly. And right now, I think it's important for international education, particularly American higher education, to stand together." That means being ready to confront challenges, said Joanna Waley-Cohen, provost for NYU Shanghai. One step is explaining to students that living in a different country means they don't get all the same affordances as they would in the U.S.
"The law is different in China. It's not that you can't go out and talk about the government — we talk about these issues a lot. But we make it clear that you have to obey the law, just like in any other country," she said, explaining that the government isn't "looking to pounce." Going abroad is "part of the global vision of NYU and there is really no substitute for going somewhere." "There's often on the surface an agreement that academic freedom should exist on a campus, but when it comes down to operationalizing that, the host country doesn't always share the same definition." Global campuses also give faculty the opportunity to expand their horizons. Alexander Geppert, a history and European studies professor on the NYU Shanghai Campus, said the experience of teaching abroad hasn't felt limiting. In fact, quite the opposite. "I take my students on excursions and it's easy to come across somewhat sensitive issues. But on campus, there's no censorship," he said. "The students are absolutely fantastic. In New York it takes more to push them. Students here are excited and passionate." However, Almond said, there's "always going to be some compromise" in terms of what institutions can do in an international setting, whether that's in the form of academic freedom or taking steps to address concerns in a host country. As the number of international campuses grows, leaders at American higher education institutions will have to consider a blueprint for safely and effectively providing a global education — not only for the sake of academic freedom worldwide but also for the health of their business models. "The world is becoming more connected. And the U.S. is behind in providing a globally aware curriculum," Lane said. "These are opportunities to enhance those efforts." Eva Foder, pro-rector for the social sciences and humanities at CEU, says the American higher education system has the ability to stand as a stalwart against restrictions to academic freedom, and it should stay committed to that. Compromise, she explained, doesn't negate the overall importance of globalized education or the spread of the ideal for open learning. "Within Hungarian higher education, academic freedom is rather limited. People feel there's a limit to what they say and teach at national institutions. CEU is different," said Foder, adding that the takeaway for administrators observing CEU's experience is that even the most extreme example of international campus strife is worth dealing with for the sake of academic freedom and global education. "I was born in Hungary, and it's important to me that the mission of this university is to allow students to have an education they couldn't get elsewhere," she said. "They can do that in this bubble here."